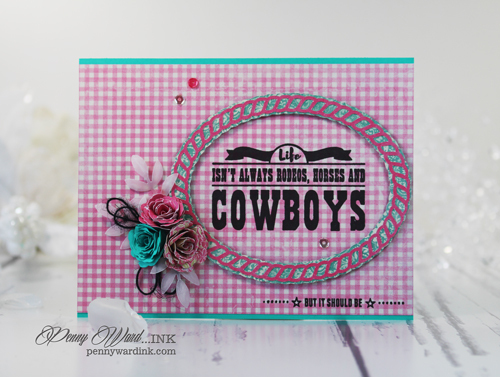 As a new Designer for The Project Bin, I perused the stamps they had available and was super thrilled as ideas came to me for each stamp set. I love their unique fonts, everyday phrases as well as traditional sentiments like Birthdays, Thanks yous etc. All of the sets at The Project Bin are so adorable....really, they are! 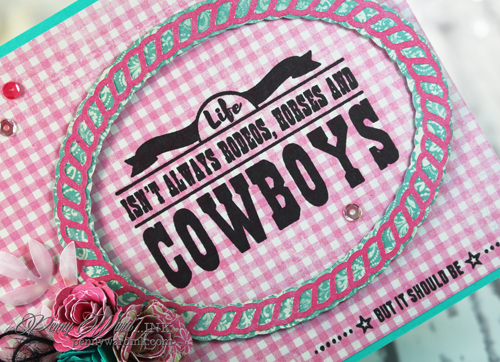 With my Silhouette Cameo I die cut the Pink rope from pattern paper. 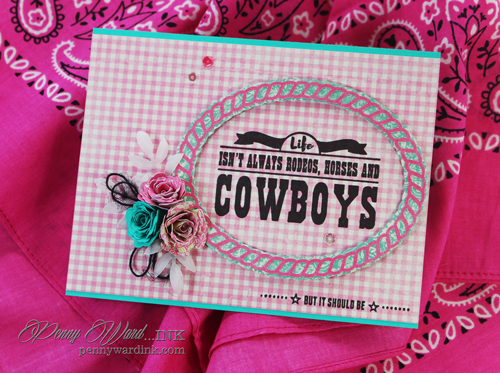 I started with a Pink gingham panel, then stamped the sentiment from the Cowgirl Up set. Oval frame is popped up with foam adhesive. Diecut, swirled and adhered flowers over vellum leaves. Of course I had to add a little bling by adhering sequins across the front. 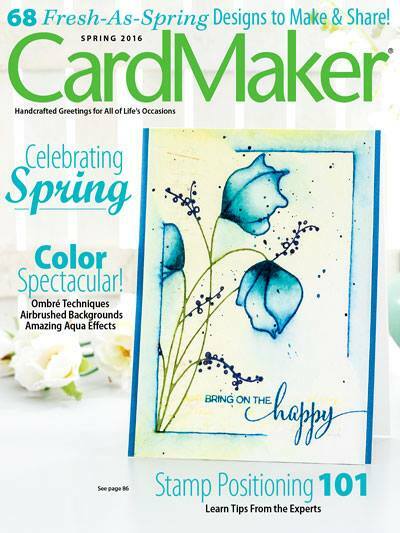 Love your card with the bright colors and the cute sentiment. I checked The Project Bin and I agree they have some wonderful sentiments with awesome fonts. I'll have to check them out when I have more time. Congrats on becoming their designer. I'll look forward to seeing your creativity using their products.